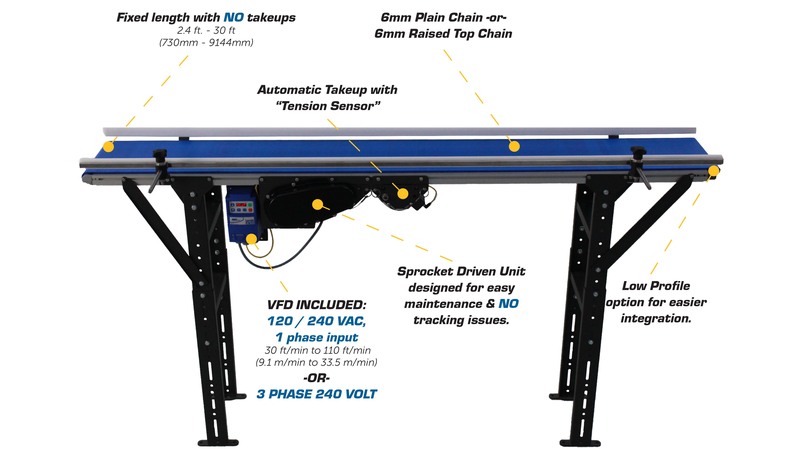 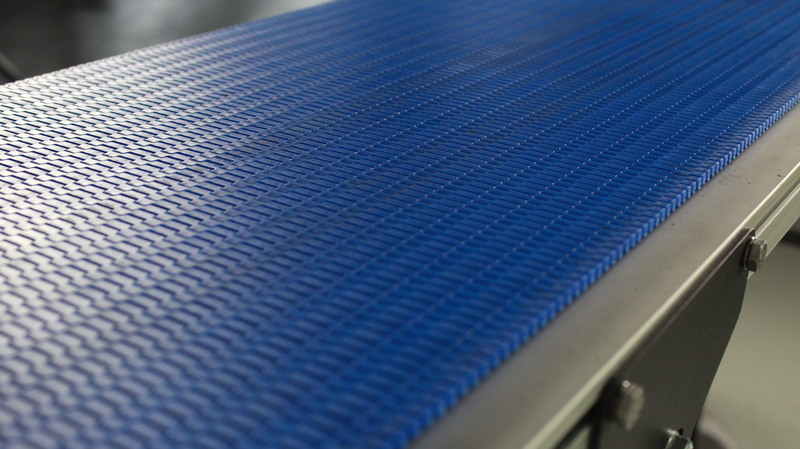 What makes our EZSpan belt conveyors unique compared to other standard belt conveyors is the fact that we use modular chain and not a fabric belt, which in turn eliminates any tracking issues that are considered “the norm” with belt conveyors. 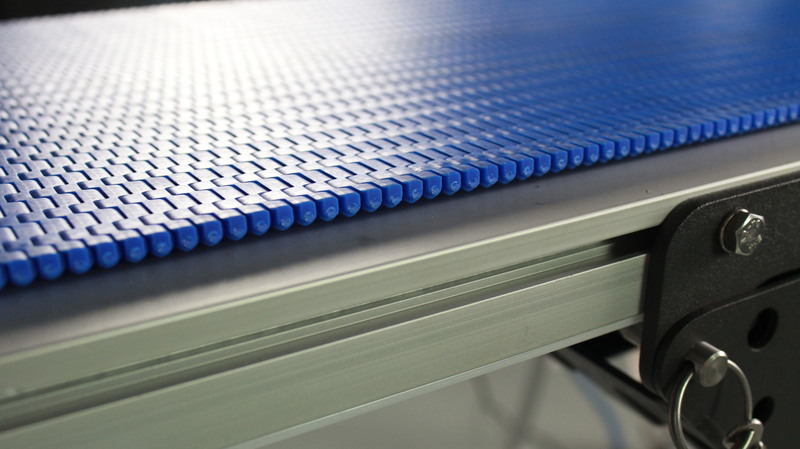 Also, our take-up units are not placed at the ends of the conveyor meaning when you order a 6-foot long conveyor, it will never deviate from this length. 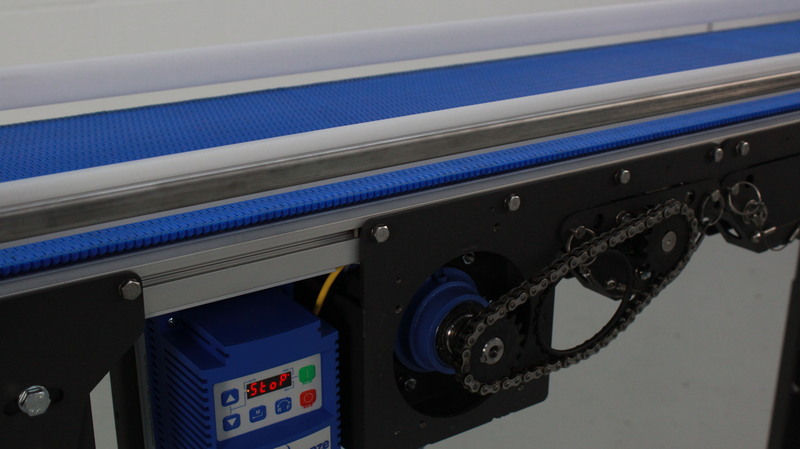 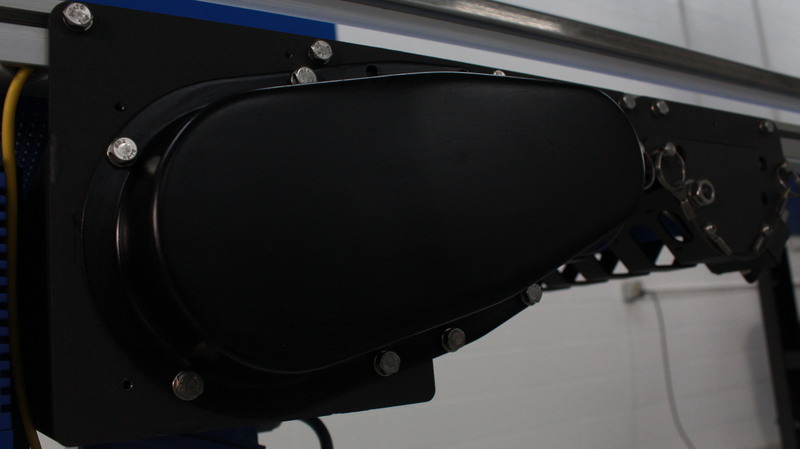 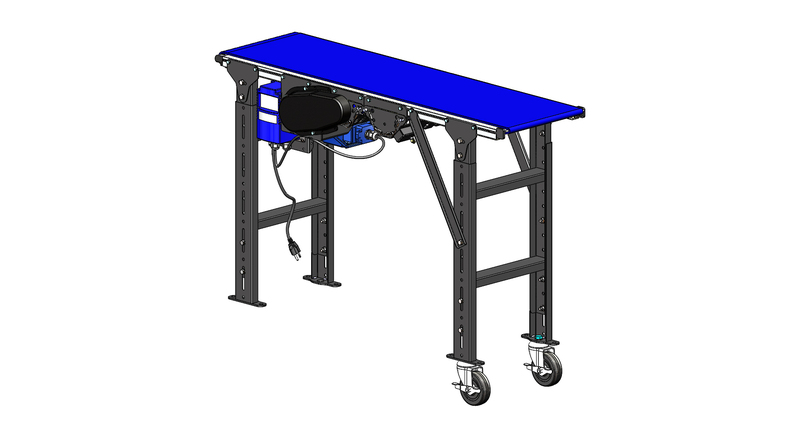 EZSpan conveyors will fit in perfectly between machines without the worry of the take-up unit creating a huge gap or interfering with the machine. 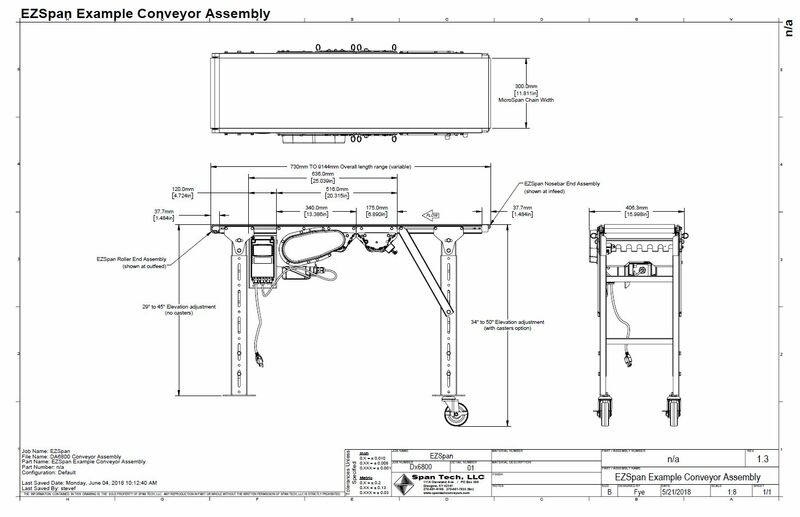 Whether you’re looking for pharmaceutical conveyors or conveyor solutions for the cosmetic industry, the EZSpan can be customized to meet the needs of businesses operating in a variety of industries. 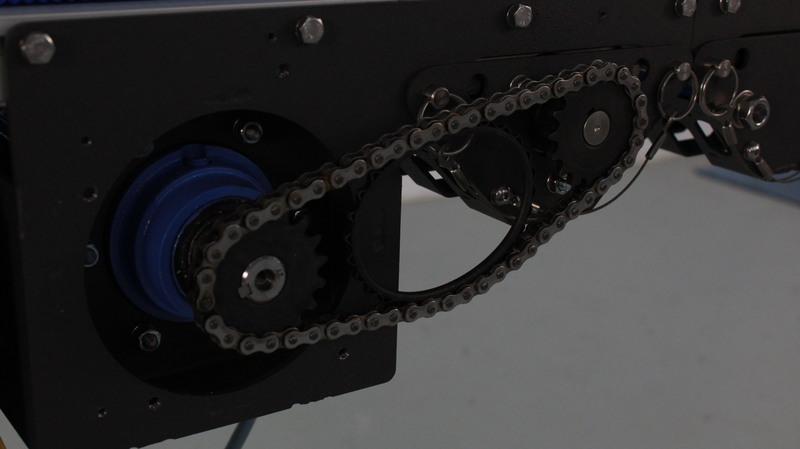 Lengths from 2.4 ft. - 30 ft.
Automatic Take-up with "Tension Sensor"